Will Robinson Cano regret his decision every October? The Seattle Mariners might have overbid for Robinson Cano (or, if the rumors are true, just bid against themselves), but the little extra cash they promised the second baseman to solidify their 10-year, $240 million contract offer was probably worth it considering the drawbacks that come with such a deal. While Cano will get $24 million a year, he’s also going to be hitting in the middle of an incredibly weak Seattle lineup. The team has been stuck in the bottom of the American League West for some time, and the lack of marketing opportunities in the Great Northwest are also a bit of a hit for Cano, who would have had much better prospects on all fronts had he stayed with the New York Yankees for less money. New York fans are likely ready to remind Cano of such things, but they’re not the only ones. Baseball legend Pete Rose entered the fray on Wednesday, reminding this offseason’s top free agent that taking more money means missing out on other things. 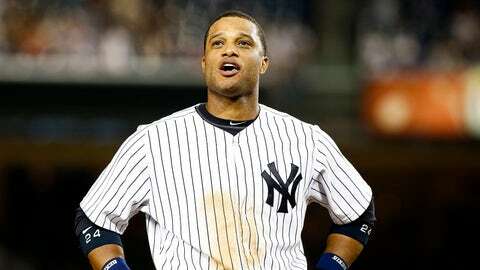 "(Jay Z) got (Cano) a big raise, but he got him an extra 30-day vacation – and it’s called October," Rose said on the Michael Kay Show on ESPN, according to silive.com. The Mariners have not made it to the postseason since 2001 – their record-tying 116-46 season (when they lost in the American League Championship Series to the Yankees). They’ve posted just four winning records since and have finished fourth in the AL West eight of the last 12 years, including the last four in a row – thankfully, Houston was added to the division, so last year’s 71-91 mark didn’t land the Mariners in last. The Yankees, despite missing the playoffs this past season as they dealt with injuries, regularly play into October, although this is what Cano was doing the last time New York made it that far.